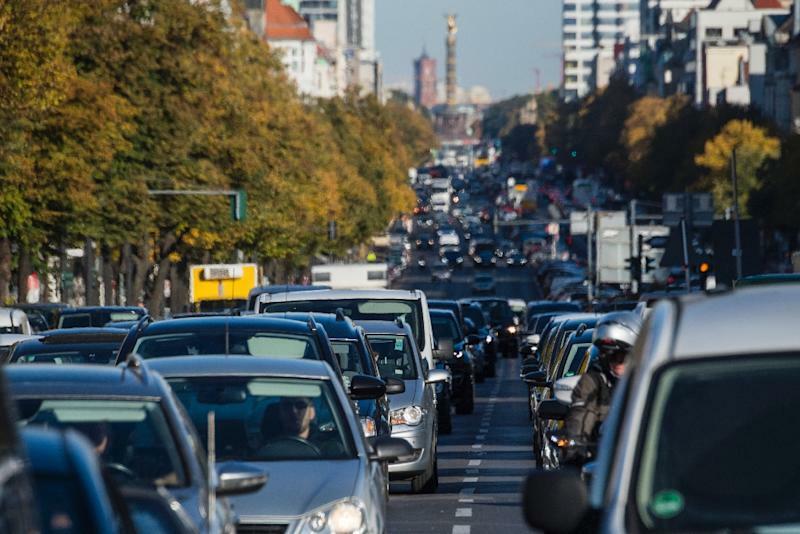 Berlin (AFP) - A German court Thursday ordered Cologne and Bonn to join a slew of cities in banning older diesel vehicles from their roads to combat air pollution, as the government struggled to reach a deal with automakers on cleaning them up. The Cologne administrative court said the western city must ban the dirtiest diesels from its centre and other streets from April 2019 to tackle dangerously high levels of nitrogen dioxide (NO2) emissions. In the smaller city of Bonn the restrictions would apply to two streets. The ruling, which the regional government intends to appeal against, is the latest victory for German environmental group DUH which has launched a raft of court cases to force local authorities to boost air quality. Faced with mounting public anger, Chancellor Angela Merkel's government is scrambling to ward off the unpopular driving bans that promise to not only cause transport upheaval but further hammer the resale value of diesel vehicles. The government wants automakers like Daimler, VW and BMW to pay to retrofit older diesels with more effective exhaust treatment systems. Carmakers have so far responded mainly by offering software upgrades for newer diesels and trade-in bonuses -- which would still leave drivers shelling out thousands for new cars. After a new meeting on Thursday, Transport Minister Andreas Scheuer said Volkswagen and Daimler have agreed to foot up to 3,000 euros of the bill for hardware fixes for vehicles in a handful of cities where air pollution is particularly bad. That is an improvement from their previous offer of 2,400 euros. Nevertheless, Scheuer warned that no hardware fixes are available on the market yet and "at the moment, no one can say how expensive they will actually be". BMW has refused any such payments before 2020, saying that trade-in bonuses would be more effective at cleaning up the fleet.